Categories: Clothing, Jackets & Blazers, Sale. 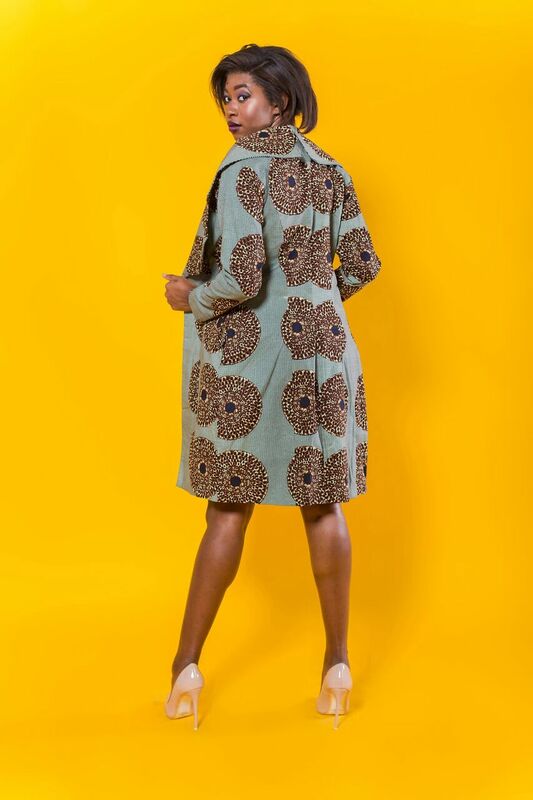 Tags: african print, ankara, bespoke, coat, Dashiki, handmade, jacket, ready to wear. 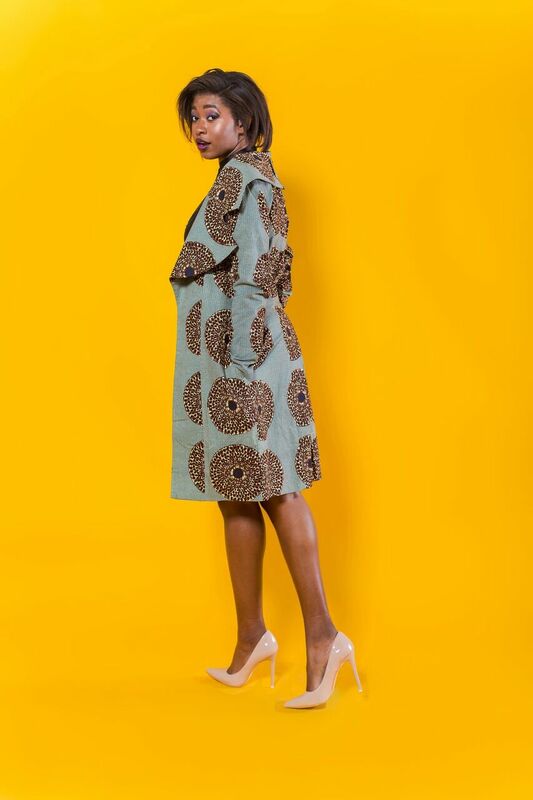 This Grey and Blue coat has a snap button in front and a belt made from the same fabric. It is made from a wax print on cotton fabric (Ankara). Size: Medium – US 10 (Bust 40″, Waist 33″, Hip 46″, Length 36″). 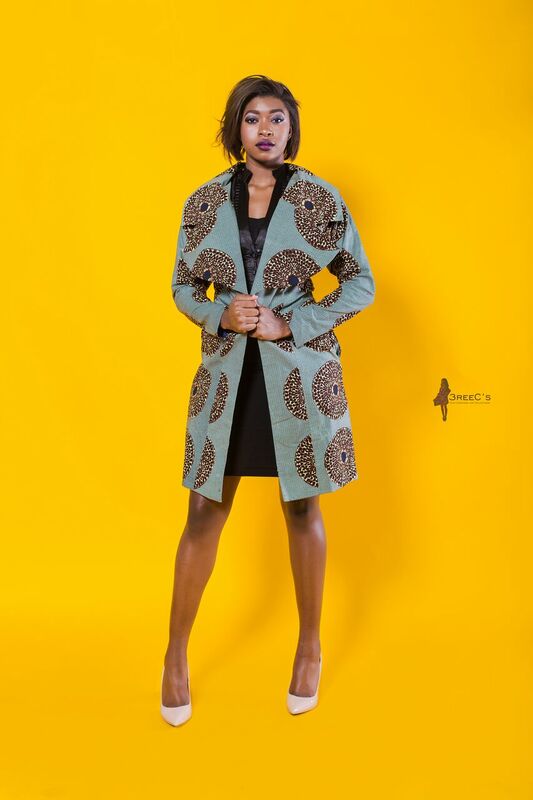 Style Tips – This coat can be worn with blue high waist dress pants with a blue high neck blouse with black pumps and a clutch purse.